Whole body cleansing is a way of flushing out all the impurities and toxins in your body. Doing a whole body cleanse works in two ways in that as it cleanses your body, you also lose weight. Some people opt to enroll in programs that focus on this type of cleansing, which typically includes several sessions and the purchase of an expensive whole body cleansing. An inexpensive alternative is to do it the natural way while still ensuring safe methods and effective results. If you are on a tight budget but want to do a whole body cleanse, there are cheap and practical ways to do it. Drink plenty of water. During whole body cleanses water is very important because it is your primary tool for eliminating toxins from your body. Not only does it hydrate your body, but water works as a cleansing agent that washes away the impurities from your system—specifically your digestive system and your colon. You should drink water in quantities of half your body weight but in ounces. For example, if you weigh 150 pounds you should drink around 75 ounces of water every day. Eat fruit for breakfast. 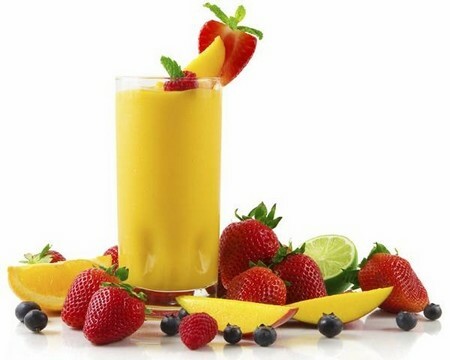 Fruits contain water and fiber. While water flushes out toxins, fiber serves as a mop that sweeps away other forms of toxins in your body. Substitute fruits rich in fiber such as oranges, apples and pineapple for your regular morning bagel. Having fruit in the morning also encourages a regular bowel movement, which will be helpful during a whole body cleanse regimen. Drink tea. Tea has many medical benefits and is known for regulating irregular bowel movements. Tea also has components effective in cleansing the body. Drink warm or hot beverages. Warm or hot beverages speed up digestion, while cold beverages tends to slow digestion down and cause some fats and oils in food to solidify—which over time can build up and become hard to dissolve. Maintain an active lifestyle. Pair a whole body cleanse with exercise. You should not engage in a whole body work out, however, since doing so will use so much of the energy you want to conserve during the process. A 15-minute jog or brisk walk is enough for a day. Maintain an activity that will keep you moving and lightly sweating. Do this whole process over the course of one or two weeks and not more than once a month to ensure your body is thoroughly cleansed and healthy. Remember that to gain positive results you must be willing to adjust your lifestyle and diet.